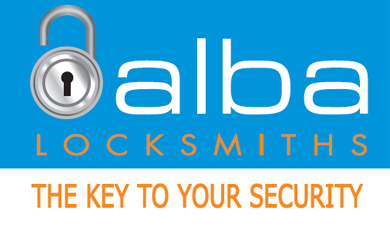 These are some of the businesses and contacts that Alba Locksmiths trusts. heard about them through our website. Thank you. - PC & MAC & Mobile solutions. Based in Botany Downs. - Website & app development/revamp, responsive design, e-commerce, email marketing + more. - For the BEST SEO; wherever you’re based, they’ll rev up your website traffic + more. - Make LinkedIn work for you with Kate’s expertise. - Marketing material, press releases, blogs, your story + more. - Graphic design for web & print, illustrations, logo design + more. - Jerry’s an expert printer and he can take you from concept to design to print to distribution. - Fat Cat can put your logo on anything. The work jackets we got from them were outstanding. - Winner of Emerging Bookkeeper of the Year 2015 by the NZ Bookkeeping Association. Based in Botany. - For home loans and financing options and ways to make it work for you. - For all your insurance & Kiwi Saver needs. Based in Burswood. - If your business’ employees need insurance and Kiwisaver advice, call Ron and his team. - For all your insurance & Kiwi Saver needs. - Fixed price services, affordable, and a great service. - RPS has all trades to do jobs; big or small. They do a great job to get your house looking stunning. “We are the guys for your DIYs”. - Qualified & registered electrician serving the wider Auckland area. http://www.michellebevindesign.nz/ - see more work on FaceBook. - Redecorating? Michelle is a colour consultant who knows how to make your house look great. - Whether you have your own plans, or Fowler Homes’ plans, Brett will guide you through the process from start to finish. - A family business, experienced in building quality new homes with particular expertise with eco builds. - Professional, tailored event management for your corporate event.